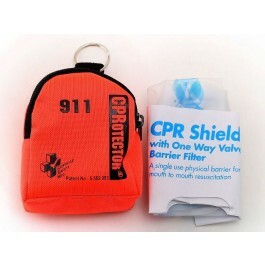 This Disposable CPR Mask Keychain is a Mini Backpack contains a CPRotector and a pair of nitrile gloves. 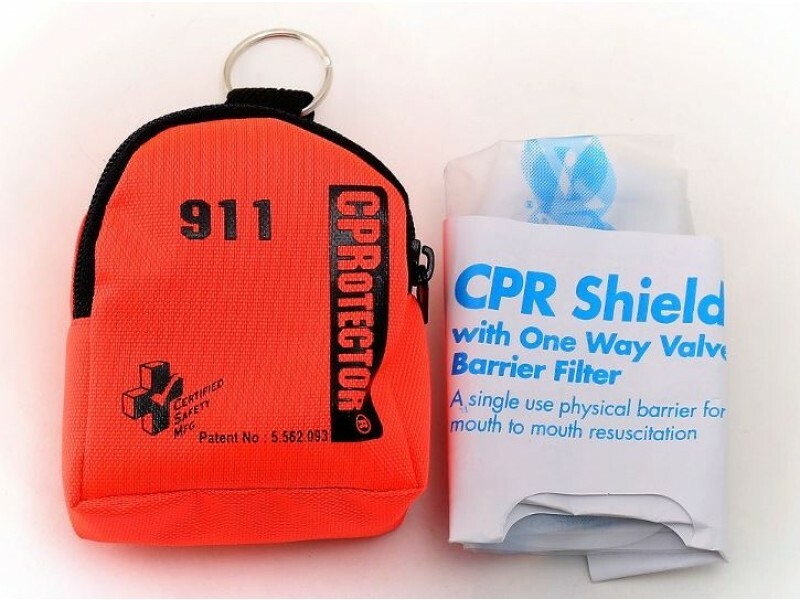 CPRotector has a One-way valve and PVC shield prevents the risk of mouth-to-mouth contact during CPR. The backpack is a bright orange pouch with a zipper opening. The backpack has both key ring and belt loops for easy transport. Recommended for single patient use.